We are delighted to be able to offer Trader Joe's products to customers who don't live near a store, but we must bulk package these items to be cost effective. 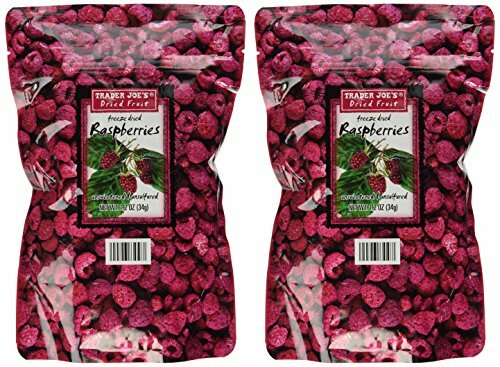 These freeze dried raspberries are delicious and a customer favorite. Trader Joe's Dried Fruit Freeze Dried Raspberries. Unsweetened, made from ripe, fresh fruite so they taste as close to the flavor of freshly picked as possible. In fact, 8.4 ounces of fresh raspberries are dried to fill each bag. These raspberries make a great healthy snack and are ideal for sprinkling on a bowl of cereal.